The Volkswagen New Beetle is a two-door compact car introduced in 1997 as an update to the original iconic Volkswagen Beetle Type 1. With a form emphasizing the rounded curves of the classic Beetle, the New Beetle design modernized the look of the Beetle while also reconfiguring the engine and drive layout to the front. 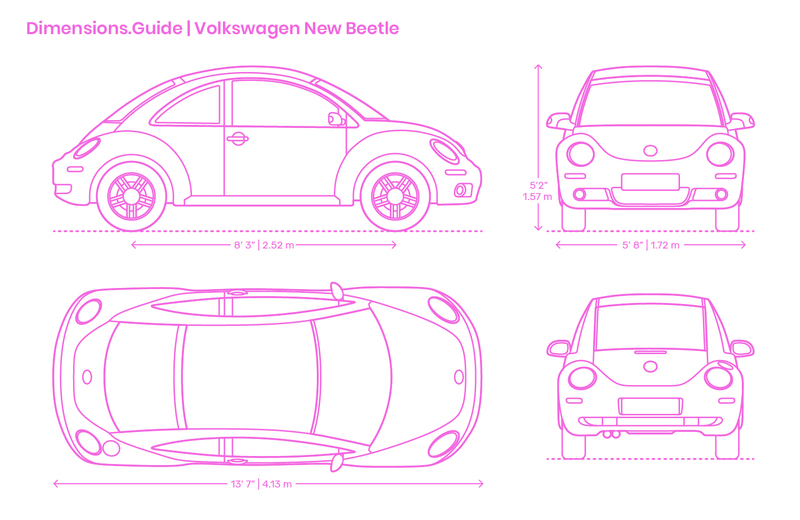 The Volkswagen New Beetle is 13’7” | 4.13 m in length, has a wheelbase of 8’3” | 2.52 m, a width of 5’8” | 1.72 m, and height of 5’2” | 1.57 m.